Offer a complete range of products and services to your customers through your network of sales representatives and suppliers. Lighten your constraints with the marketplace model. Your sellers take care of the purchase, storage and shipping. Make it easier for your customers' buyers by offering them a stimulating shopping experience that is tailored to their needs. Increase productivity and efficiency by focusing fully on your added value and your sales force. On a trusted platform, provide your customers with a privileged experience reinforced by innovative services. 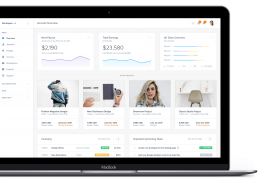 Launch, test and approve new products and services at lower costs thanks to the marketplace model. Une solution de marketplace clés en mains. Nous vous accompagnons.